Today I took a train of JR Tadami Line and visited Tadami Town. Between Aizukawaguchi and Tadami Station the railroad was still missing since the heavy rain disaster three years ago and bus service was backing up since then. 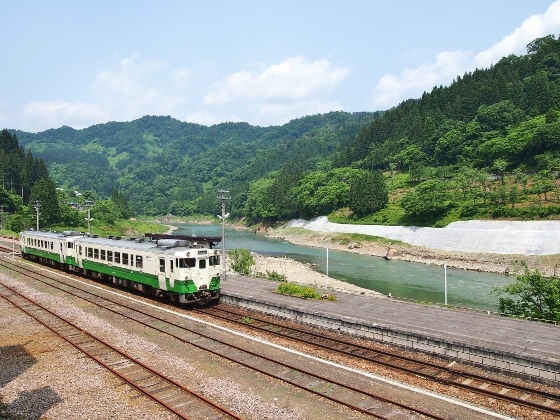 Above photo shows JR Tadami Line train with Tadami River in the back at Aizukawaguchi Station. 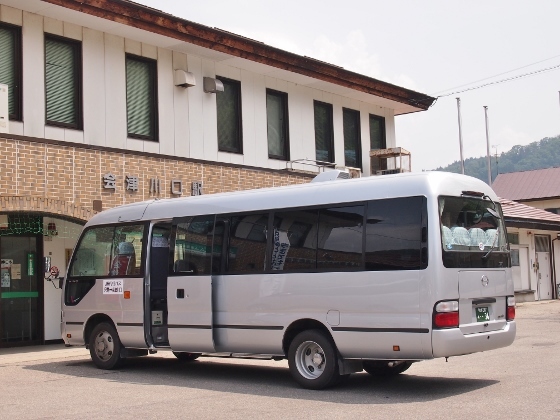 Above photo shows backup bus at Aizukawaguchi Station bound for Tadami Station. It was a comfortable ride. 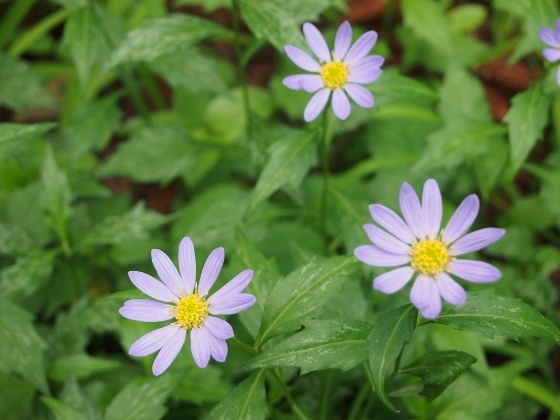 Tadami Town was designated as Biosphere Reserve by UNESCO this month. 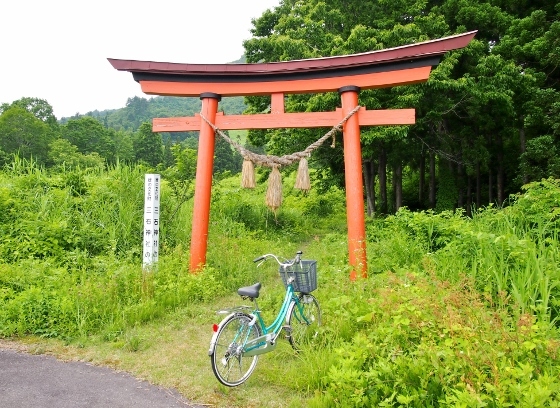 The town has natural beech forests and unique botanical map. They are willing to preserve the nature so as to contribute to the development and restoration from the disaster. 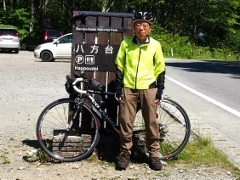 I rented a bicycle (above photo) at tourist center of Tadami Town and pedaled around the town. 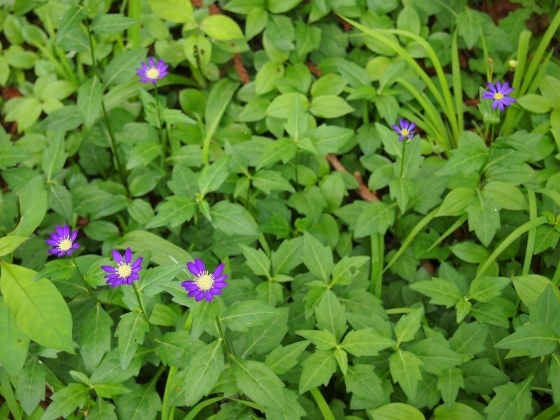 Soon after I started to walk from the red torii I found many purple flowers growing naturally. The location was red asterisk 1 in the map. On the other hand flowers of Lilium rubellum at Yuridaira hill close to here were already over. 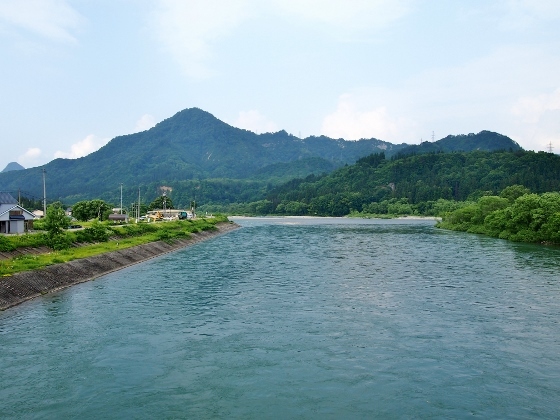 Above photo shows today's view of Tadami River which flows across Tadami Town. The flow was beautiful with light blue color. The location was red asterisk 3 in the map. 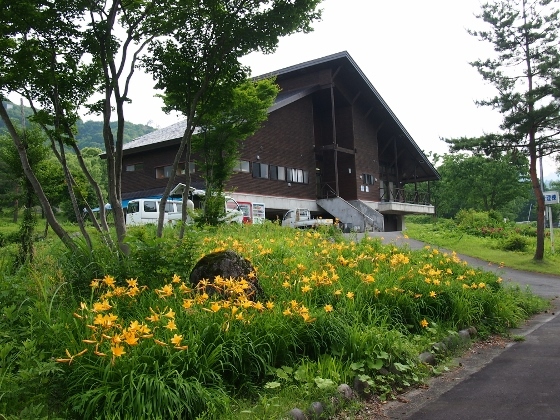 Then I attended a seminar on "Distribution and ecology of Lilium rubellum at Tadami area" at the museum shown above. 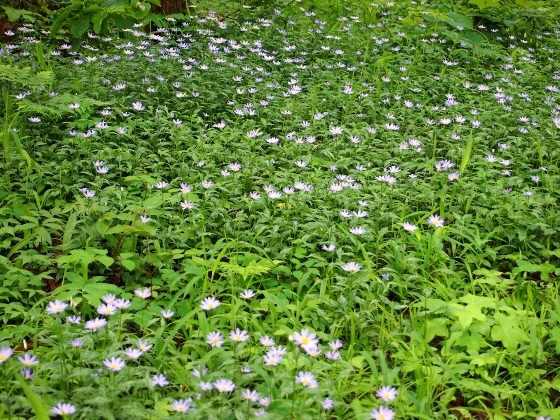 It said that Tadami Town had the largest distribution of naturally grown Lilium rubellum in Japan. 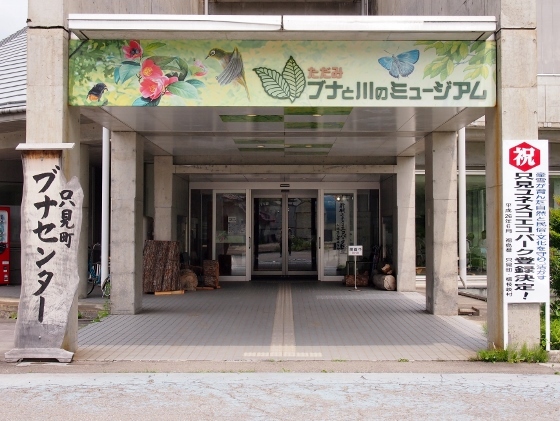 The location of the museum was red asterisk 2 in the map. Tomorrow I will attend a nature watch event and visit a remote habitat of Lilium rubellum. Tonight I stayed at a bungalow at Ikoinomura Camp Site. The location was red asterisk 4 in the map. Above photo shows the office of the camp site. Yellow flowers in front were Nikkoukisuge. 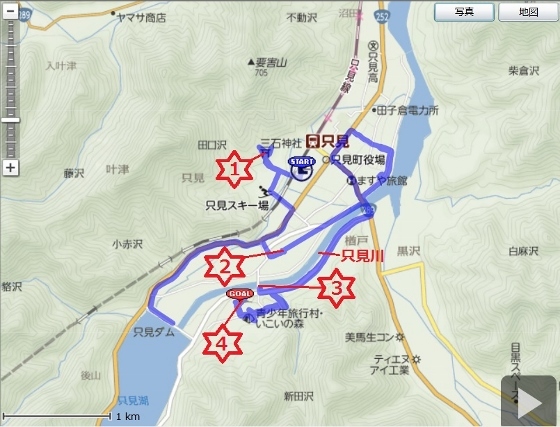 Since it was Saturday night all the inns at Tadami Town were occupied with many visitors.